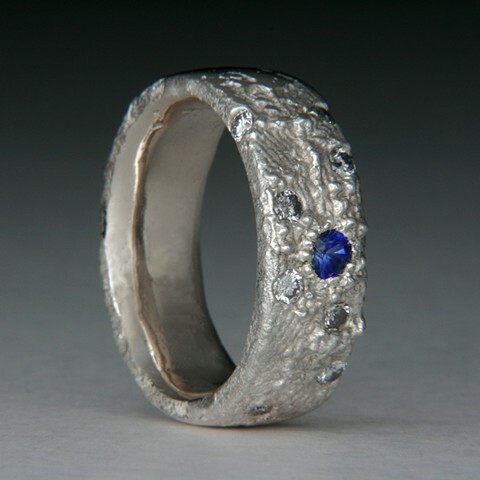 This ring was made as one of a pair of Stippled ring, 11mm wide with sapphire and diamonds. Alloy is a custom blend of silver and copper. Please contact me if you are interested in a ring like this one.